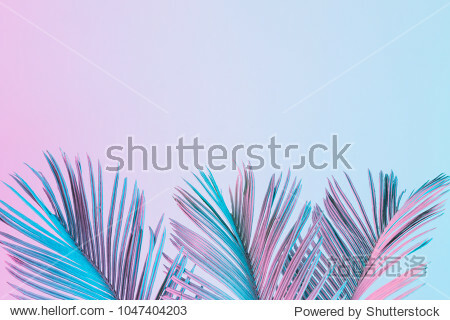 Tropical and palm leaves in vibrant bold gradient holographic colors. Concept art. Minimal surrealism.